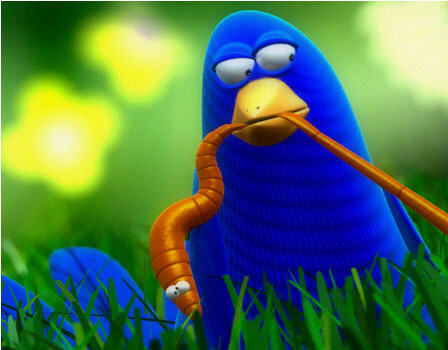 Thank you, early birdy people! 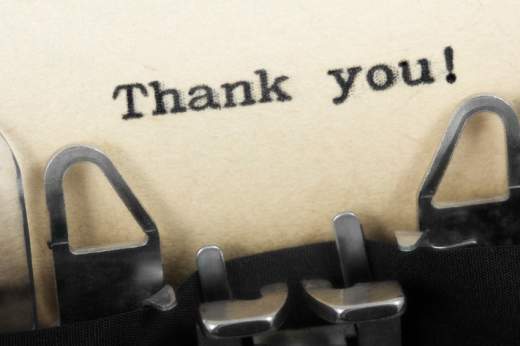 Thank you so very much to everyone who has already sent us their receipts and contact details. We will endeavour to send you all a confirmation over the weekend, as well as respond to any personal queries or messages you might have. Sit tight. We’ll get there! You are awesome. Firstly, I just wanted to say a huge thank you to everyone who has contributed to this auction – the donors and the bidders. It’s made our hearts so glad to have had your support. From little things, big things grow, huh? What we plan to do next is to contact the winning bidder with all the information they need to finalise their bid. Donors, once bidders have done their bit, we’ll be in touch with you with the information about how to send off your item. As we had so many items and bidders, please be patient with us. We aim to have all bidders contacted by the end of the week – hopefully sooner! Once again, big, enormous thanks to you all. We are so chuffed and we know that the recipients of your donations will be very grateful. Book Information: Set against a backdrop of bushfire, flood, war and jubilation, this is the story of one girl’s journey towards independence. It is also the story of others who had no vote and very little but their dreams. Drawing on the well-known poem by A.B. Paterson and from events rooted in actual history, this is the untold story behind Australia’s early years as an emerging nation. 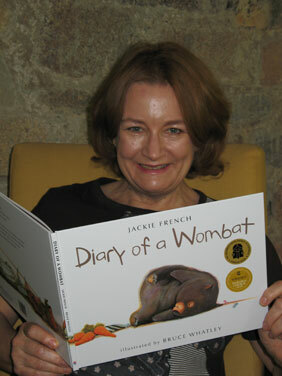 Brief Bio: Jackie French is a full-time writer and wombat negotiator who lives near Araluen, NSW. 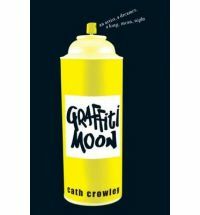 Her previous books, including Hitler’s Daughter and To the Moon and Back, have seen French awarded the CBC Younger Readers award and the Eve Pownall Award among more than 50 other awards in Australia and overseas. 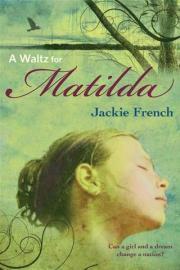 In October 2010 she was awarded a NSW Premiers History Award for her novel The Night They Stormed Eureka. Item: A manuscript assessment comprising of a two page (non-detailed) report and suggestions for improvements. The manuscript can be any length, and any genre except poetry. After the initial two page assessment Jackie is happy to give more advice about publishers, or eventually- hopefully- a publishing contract. Please send a stamped self addressed envelope if you’d like the mss returned. Brief Bio: I was born in London, brought up in Staffordshire and educated at the University of St Andrews. I have edited four magazines: British ELLE and ES (I was Editor of the Year for that – get me) in London, then Cleo (acting editor) and Mode in Sydney. I also worked on the Evening Standard and the Sydney Morning Herald. Newspapers are my spiritual home. My column in Good Weekend magazine has been running for over ten years and has been collected into three books. I have written five novels, and co-edited three books of short stories for the charity War Child. I have most recently co-edited an absolutely filthy book of rude stories, with my writer pals Kathy Lette, Jessica Adams and Imogen Edwards-Jones. I currently live in Hastings Old Town on the south coast of England, with my husband and six-year old daughter, but I move a lot. I have about 150 pairs of shoes and I am currently writing another novel. Item: A constructive report on the first three chapters and outline of a non-fiction book (memoir, inspiration, whatever you’ve got). Email sub mission of up to 10K words from your book, plus the outline for the rest (up to 2K). Brief Bio: Sally Collings worked in book publishing for almost twenty years, dividing her time between London and Sydney. 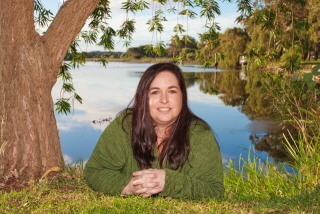 Now based in Brisbane, she is a freelance writer and editor, working on books and magazines. Her work focuses on stories of inspiration in the broadest sense – from portraits of life after loss to accounts of academic excellence. Item: A years free advertising/promotions for a book industry business/publisher or Author/ Illustrator wanting to promote their book/s. 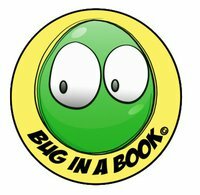 Bug in a Book is an Australian/New Zealand literacy website. Supporting Authors, Illustrators and Publishers and promoting our great children’s books to the parent and teacher market. We believe in the importance of literacy to the development of children and hope to help parents and teachers encourage this wonderful skill in our most important citizens, our children. We aim to bring a variety of quality children’s literature to our subscribers as well as informative and relevant articles to create a positive resource. We hope to affiliate with other like minded organisations to help create this resource, as well as businesses which are of good quality and whose products are of interest to this market. Bug in a Book is created by Angela Hall (writing and promotions) and Danielle Bagshaw (design and illustrations). Both have a background in child care and early learning, where their passion and joy of children’s books began. Watching the children gain so much from the stories as they are told and retold over and over, and secretly loving the stories themselves. Angela and Danielle developed the website and began their venture into the world of authors, illustrators and publishers. 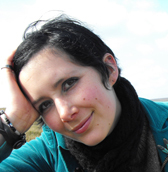 Joined recently by Rachel Mason (creative columnist) who uses her skills with words to share selections of our books with others and make reading fun! Bug in a Book is growing everyday and there is much excitement about where it is headed. Book Information: As a puppy, Snarf is fortuitously rescued by a young girl called Hekja when he is badly injured, their simple but happy lives are changed unrecognisably when their village is raided by Vikings. This work is suitable for children aged 10-14. Book Information: ‘That’s REAL LIFE, your royal highness,’ said the butler kindly. The little prince loves reading the books in the palace library, but somehow the real world never seems as good as he imagines. So, when his parents leave him in charge, he and his friends start to change the world using the ideas from the books in the palace library. Together, they believe, the world can be perfect. Details: Manuscript must be no longer than 50k words. Report will be sent within 30 days of receiving the manuscript, unless otherwise agreed. Report to contain detailed feedback covering the areas of plot and structure; characterisation; writing and language; market potential; and other areas depending on the type of manuscript. Brief Bio: Kate Gordon is the author of one published Young Adult novel – Three Things About Daisy Blue, published by Allen and Unwin, and one soon-to-be-published novel, Thyla, published by Random House Australia. She holds a Graduate Diploma in Literary Studies and has worked as a librarian and manager of the children’s/YA section of a major book shop. 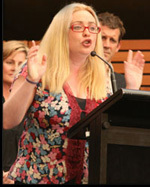 Kate currently produces manuscript assessments for the Tasmanian Writers Centre. 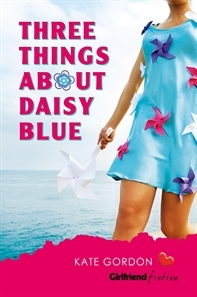 Item: One personally signed copy of Three Things About Daisy Blue, the new Young Adult novel by Kate Gordon. Book Information: Daisy Blue is not happy. She doesn’t want to go to Bali. And she doesn’t want to keep a diary of her trip. And she doesn’t want to hang out with Paulina Gifford. She does want to be a size zero and famous. Paulina Gifford is very studious. She is excited about the Bali trip and is keen to use her journal solely for recording her historical and cultural investigations. She thinks Daisy Blue is some kind of alien species. But Bali surprises them both – and soon they are in danger of falling in ‘like’ with each other. Is it possible that the fashionista and the earnest nerd might find something in common? Brief Bio: Kate was born and raised on the North-West Coast of Tasmania, in a town known for its tulips, and where you can get the best fish and chips in the world. She is a former children’s librarian and manager of the children’s and YA section at a major book shop. Now, she is a FTW (full time writer). Kate trained as an actor, but wasn’t very good at it. She writes on her couch, in the early morning, with her cat, Mephistopheles “Danger” Gordon sitting behind her making funny noises at birds. 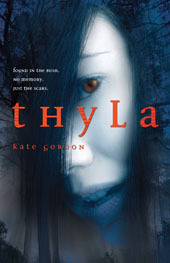 Item: One personally signed copy of Thyla, the new young adult novel by Kate Gordon, published by Random House. Not out until April, but as soon as it is out, Kate will sign copies and send it. You might even get your hands on it before anyone else! Book Information: THYLA is a story of Tasmania: of darkness, of convicts, of devils and tigers, and of promises that stay true through the centuries. It is the story of what happened to Cat, and what Tessa really is. Brief CV: Kate was born and raised on the North-West Coast of Tasmania, in a town known for its tulips, and where you can get the best fish and chips in the world. She is a former children’s librarian and manager of the children’s and YA section at a major book shop. Now, she is a FTW (full time writer). Item: A signed copy of my upcoming novel “The Ottoman Motel” (published by Text Publishing). It’s not out until May, but as soon as I get a copy, it’s yours! Simon and his parents arrive in the small town of Reception and check in to the Ottoman Motel. Then, while Simon is asleep, his parents disappear. Are they lost? Has something terrible happened to them? Have they simply driven away and left him? All Simon knows is that he is alone in a strange town. And, as a desultory police investigation begins, he realises he is unsure who he can trust. The local police constable is kind; a B&B owner gives Simon a place to stay. The citizens of Reception have taken him in—but why does it seem as if no one is trying to find his parents? The Ottoman Motel is not just an intriguing character-based mystery, but a moving study of fear and loss. With this assured and nuanced debut, Christopher Currie proves himself to be one of the brightest young novelists in Australia. Brief Bio: Christopher Currie is a 28-year-old writer from Brisbane whose fiction has appeared in anthologies and journals internationally. In 2007, his novella Dearly Departed appeared in Five Mile Press’s Love and Desire: Four Modern Australian Novellas. The Ottoman Motel is his first novel. Book Information: It’s the end of Year 12. Lucy’s looking for Shadow, the graffiti artist everyone talks about. Brief Bio: I didn’t write books straight after high school. I went to uni and studied radio production and literature. I became a teacher and taught English. I traveled overseas. While I was in Europe I wrote letters to my brother, who later turned them into a musical called The Journey Girl. After that I studied professional writing at TAFE. I wrote articles for papers and magazines. Then finally I wrote The Life and Times of Gracie Faltrain and things took off from there. Now I spend my time writing young adult fiction and fiction for younger children. I like reading, TV marathons, the planetarium, politics and hanging out with my friends. Brief Bio: Optimistic, energetic and enthusiastic, Karen is passionate about books that celebrate togetherness, embrace individuality and empower each reader, no matter how small, to do their part in making the world a better place. Karen currently lives in Brisbane with her husband, three sons, two dogs, two chickens and an upside-down swimming goldfish named Gus. 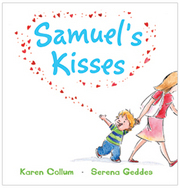 Book Information: Samuel loves going shopping with his mummy. He smiles and blows kisses to all the unhappy shoppers. Samuel delights in spreading fun and happiness to all those around him. A warm, sparkling story that will make your heart soar. Brief Bio: Nikki Logan lives amongst a string of wetlands in Western Australia with her long-suffering partner and a menagerie of furred, feathered and scaly mates. Nikki believes that the passion and risk of falling in love are perfectly mirrored in the danger and beauty of wild places. Every romance she writes contains an element of nature, and if readers catch a waft of rich earth of rhte spray of wild ocean between the pages she knows her job is done. Book Information: The little black book of information that every teenage girl should read. Everybody knows high school can be tough. There are days when your favourite teacher tells you off. When the person you have a crush on fails to notice you even exist. When your best friend behaves more like your worst enemy. And when even the C-grade netball team thinks you’d be a dead weight and have the defending skills of a stapler. So how do you get through it? Glad you asked. 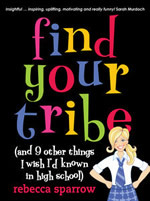 From the author of The Girl Most Likely comes Find Your Tribe (and 9 other things I wish I’d known in high school), a practical, humorous, guide for girls to help them negotiate their teen years and beyond. 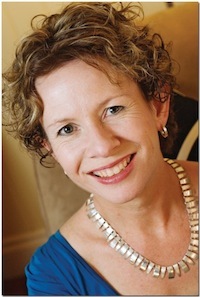 Brief Bio: In 1993 Rebecca graduated from QUT with a Bachelor of Business (Communication) and started writing media releases, feature articles, speeches and newsletters for a living. After three years on magazines (and a dodgy Vegas wedding under her belt), Rebecca decided to have a go at writing her first novel. The Girl Most Likely is a comedy about a former travel writer who tries to put her life back together after secretly getting married in Vegas. 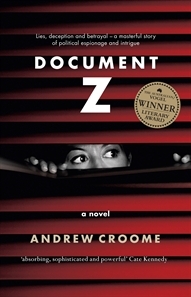 The novel was published by UQP in March 2003 and spent 16 consecutive weeks in the Mary Ryan’s Top 10. AFI award-winning Australian actress Pia Miranda (Looking for Alibrandi, Garage Days, Secret Life of Us) has optioned the film rights with Icon Films and hopes to turn the book into a feature film. Rebecca’s second novel, The Year Nick McGowan Came To Stay, is the prequel to The Girl Most Likely and was released in May 2006 in Australia and April 2008 in the US. It debuted as a stage play at Brisbane’s La Boite Theatre in May 2007. Rebecca’s third novel, Joel and Cat Set The Story Straight, was published in August 2007 and co-written with her good friend Nick Earls. When she’s not writing novels, Rebecca writes a weekly column for The Sunday Mail newspaper and she gives motivational talks and runs writing workshops in schools and businesses across the country. Rebecca is an Ambassador of War Child Australia and The Pyjama Foundation.